Award wining film about one woman’s journey from a small Colombian town to the streets of New York. Bright, spirited 17-year-old, Maria Alvarez (Catalina Sandino Moreno) lives with her extended family in a cramped house in rural Colombia and works stripping thorns from flowers in a rose plantation. She is tempted by a lucrative job travelling to the USA as a drug ‘mule’ . However the promised uneventful trip goes wrong when Maria arrives in New York City. Nevertheless Maria is determination to survival in the USA and she finally emerges with the grace that will carry her forward into a new life. 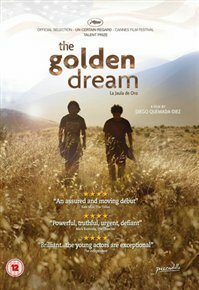 Actor Gael García Bernal produces and presents this documentary exploring the issue of illegal immigration from Mexico into the USA. The documentary takes as its starting point the discovery of a corpse in the area of Arizona nicknamed the ‘corridor of death’ due to the perils it holds for those attempting to hop the border. 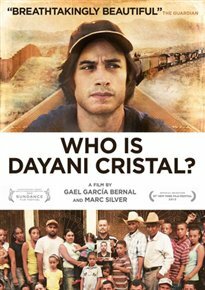 As the staff from the Pima County Morgue attempt to identify the dead man from little more than the tattooed words ‘Dayani Cristal’, the film follows their efforts in a bid to see what the life of the man may have to tell us about the motivations and fears of those attempting to cross the border and the justness of US immigration policy.